Security analysts are accustomed with the false positives issue, which is a normal thing for any regular antimalware solution. It’s sometimes better to take extra precautions than miss a harmful infection, although wrongful detection of problems is generally an annoying encounter. However, there are programs out there like Smart PC Care that report imaginary issues deliberately rather than erroneously. 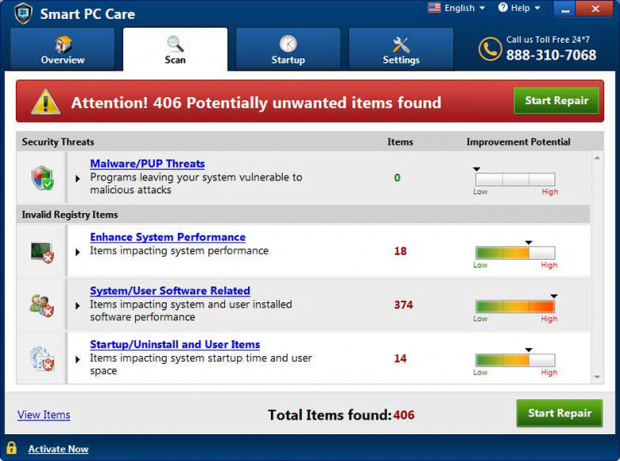 What is the Smart PC Care virus? The difference between genuine PC maintenance software and pseudo optimization tools can be hard to tell. Present-day computer criminals have got enough expertise to make their fake apps look real and act much like regular utilities. In spite of the fact that the reign of scareware in cybercrime is now history, some groups of rogue players continue to be in the game and regularly coin new samples. One of the dominating lineages of such untrustworthy applications is represented by Smart PC Care. Just like its clone Win Speedup 2018, it claims to be an all-in-one tool that removes viruses, unwanted junk files, privacy traces and broken registry entries. Instead, it makes up a bevy of these issues and then “kindly” offers a fix that implies your coughing up a license payment. Smart PC Care mimics system scans while supposedly focusing on the following areas: malware/PUP threats, items affecting system performance, objects that impact system and user related software performance, as well as the ones impacting OS startup time and occupy too much disk space. Normally, such a coverage should suffice to keep a computer running safe and clean. In this case, though, the app only pretends to check the host system for actual problems. Every scan ends with a report listing numerous detected issues, most of which are either fabricated or turn out to be regular browser cookies that won’t do any harm. The deceptive program also overstates the scope of the computer health predicament by presenting a severity scale next to each area being monitored. Most of the time, the improvement potential is going to be set to “High” so that the victim rushes into repairing the machine. Furthermore, as this self-proclaimed cleaner is running, it will produce audio alerts via built-in or connected speakers – that’s another pressure tactic in its portfolio. The potential victims of the Smart PC Care virus are those who don’t exercise due caution during software installs. The unwanted payload usually arrives with bundles, where the program stated to be installed upfront is something benign and perhaps useful. The potentially unwanted items lie underneath the recommended, or default, setup option. Therefore, by opting for one normal app you run the risk of also allowing a few malicious entities infiltrate your system under the same hood. 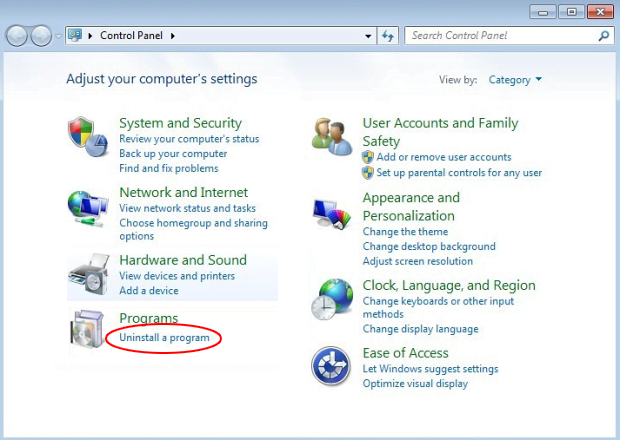 Unfortunately, Smart PC Care may prevent commonplace uninstall methods from being effective and tends to reinstate itself after such attempts. To get rid of it completely, you should leverage a combo of techniques described below. The extermination of Smart PC Care can be efficiently accomplished with reliable security software. Sticking to the automatic cleanup technique ensures that all components of the infection get thoroughly wiped out from your system. 2. The scan will come up with a list of detected items. Click Fix Threats to get the scareware removed from your system. Completing this phase of the cleanup process is most likely to lead to complete eradication of the infection, so you can move on with your day malware-free. No ratings yet.